Alesia was our tour guide for this wonderful tour of Romes most interesting and historic sites. It was truly delightful and informative as she was so knowledgeable about all of the venues. There was a rapid transition without waiting in lines for ticketed venues as she greeted the staff members on what obviously was a daily event for her. We could not have hoped for a more rewarding experience. Outstanding private guided tour and worth every cent! Massimiliano was the best guide ever! He was such a pleasant addition to our family for the day. We saw everything we wanted, and more in one day. Massimiliano provided expert, clear and engaging information and background - so knowledgeable about world history, religion and art. He thoughtfully attended to personal needs when our daughter's sandal broke taking us back to our hotel to change shoes without losing a beat. Even had time to stop for lunch at an amazing restaurant he recommended - one of the best meals during our stay in Rome! Highly recommend this impressive tour and guide. This was a well-planned and managed tour--we covered many key attractions, but never felt rushed. Marco and Sara were extremely knowledgeable, professional and added lots of value to the tour. They kept us from the crowds, navigated the area well and catered to our interests. We could have one-on-one conversations, and learned so much about history as well as current day Rome. A private tour costs more--but this one was worth it. Our travel guide Massimiliano was outstanding. Highly knowledgable and very friendly. This was a very fun day and we waited in no lines. Very good value!!!! Fantastic tour! We were in Rome for just 2 days and wanted to make sure we saw all of the highlights. Mariarosaria was so informative and expertly guided us through all of the must-see sights. The price may seem steep at first, but a private, skip the line tour is the only way to see the Colosseum and Vatican in the same day and stay sane. More than worth the money. A must if you're in Rome and want to see it all in a day! Really worth the money. Our guide Tommas is worth every dollar. He got us into the front of every line. Not included is a short taxi ride across town and lunch. He ate lunch with us so we paid for him too. We will only be doing private tours in the future! Agata our guide made our day outsanding from start to finish. We and two of our friends all from Canada had only limited time in Rome, this tour and Agata enabled us to see two of our main interests in one day and a few more as well. Her expertise and personality along with her excellent English made the day memorable. 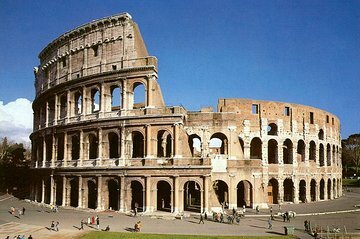 I would recommend this private tour to anyone wishing a personal/small group guided tour of some impressive sights in Rome. Thanks Again!!! Dr. Thomas was outstanding. As he grew up in the area, and loved Rome's history, he was very knowledgeable regarding the Roman Empire as well as all the sites we visited. We had hoped to see the Pantheon and he insured we visited it, too. We suggest the Pantheon be included in this Day Tour. Dr. Thomas knew all the quiet streets, shortcuts to avoid the crowds where possible, alot of the City's hidden treasurers, like Pinocho and a family owned traditional Italian restuarat for lunch. Although it was a hot day, he ensured he found areas in the shade, and where we could enjoy so cool breezes. Dr. Thomas is one in a million and we wish him a very blessed life. We truly appreciate him making our day in Rome memorable and special. Outstanding! Thoroughly enjoyed the detailed explanation of everything at an unhurried pace. It is so nice to be able to scoot past the long lines at the entry to the Colessium and the Vatican Museum. There were no waits or delays anywhere. This was an eight hour walking tour. We took a mid morning break for coffee and an early afternoon break for a light lunch. We never felt hurried. Cristiana is extremely knowledgeable and friendly. She paced the tour based on all of our needs and adjusted nicely when one of our group lacked the interest that the rest had. We were a group of six. Highly recommended. Would absolutely do this again. Our Rome tour was AMAZING!!! Tammaso was so incredibly knowledgeable and friendly!! I could not say enough about what a wonderful day we had learning about the history of Rome! This is a MUST DO if you want to see the sights of Rome.